Assassin's Creed posts are back again! Yes.. the good folks at the Collectorsedition.org forums have spotted this Sneak Peek posted by UbiWorkshop. 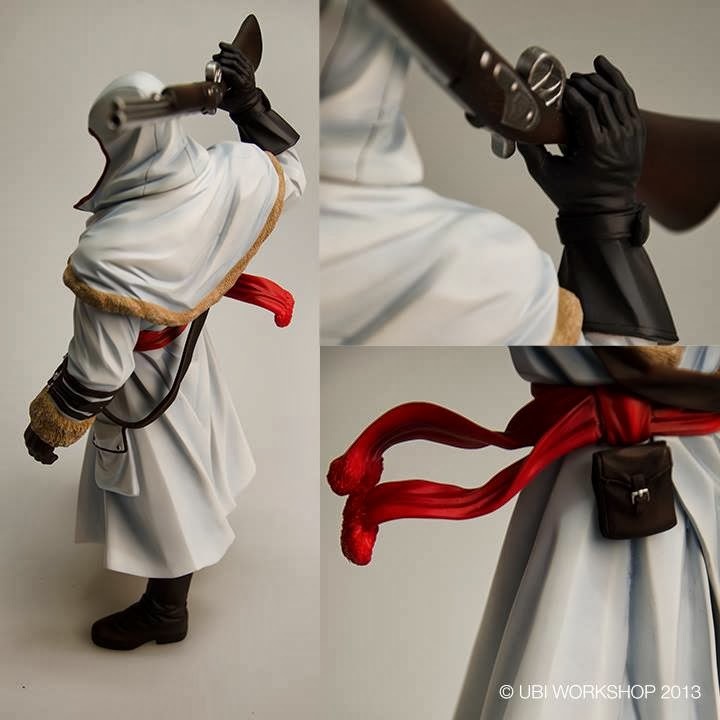 A reveal of a Nikolai figure prototype. This was really unexpected. No show of the face however. The pose is pretty much the same as the The Fall comic cover. There's a couple of questions raised however..
1) While the majority of the Figurine releases have been from UbiCollectibles.. This one is from UbiWorkshop. As far as I know, they are 2 different entities.. 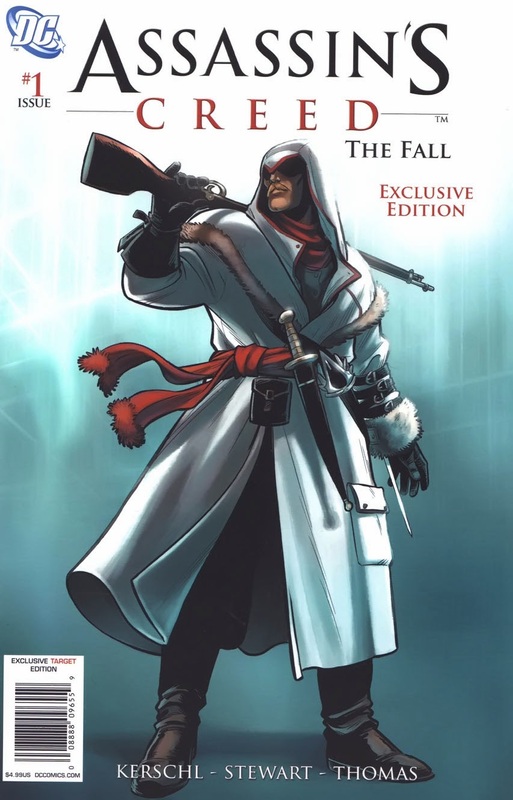 However, this could be because The Fall and The Chain comics which Nikolai feature in, are from UbiWorkshop. So it could be thay Nikolai is UbiWorkshop's Assassin, so to say. Which is why they are producing the figure, rather than UbiCollectibles. 2) The scale is really hard to say from the pics but it looks like it's about 6-7 inches. This is smaller than the UbiCollectibles' Assassin Figures which stands about 9-10 inches. There is also a lack of a base which could mean that this is an action figure, rather than a mini-statue. However, from the looks of it, I highly doubt it's an action figure with articulation. Of course, I could be wrong about the scale too. 3) Why Nikolai in favour of Aveline? Of course, this reason could lie in Point 1). That said.. Unless there is a full AC game coming out featuring Aveline, there is no better time than now to feature a Aveline figure. With the AC Liberation game re-mastered for consoles in HD and the extra missions in AC IV featuring Aveline, her popularity is at it's peak. Now will be a wonderful time to please the thousands of fans clamouring for a Aveline figure. Do note that all these comments is just speculation by me, without any solid evidence or proof. It will be really interesting to see the final product reveal. Once again, UbiWorkshop are pressing the right buttons in terms of collectibles. Can't wait to see more!